Tenant fit-up for a laboratory company consisting of a mix of office and lab spaces. Office area consisted of closed office spaces, a number of low height cubicles, conference rooms, and café. The lab area is an open flexible space and some closed specific lab spaces. 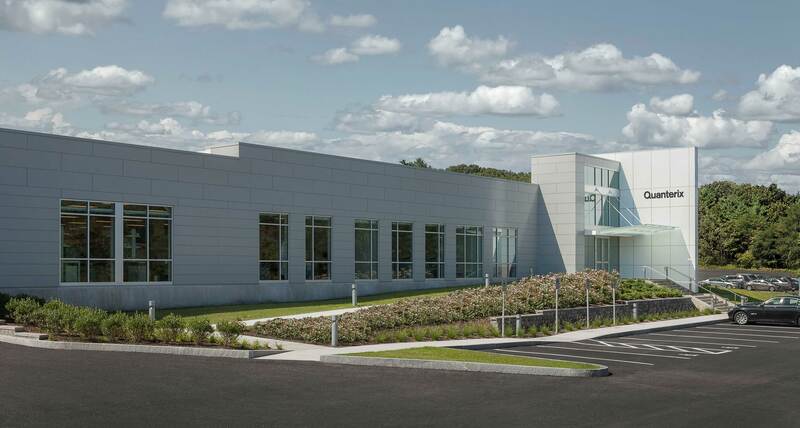 This project created a new corporate headquarters for Quanterix Corporation as they continue to grow and expand. 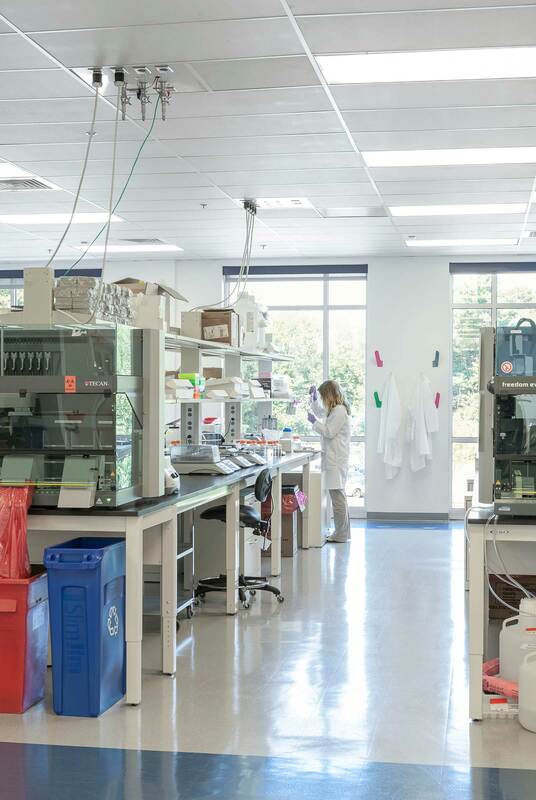 The laboratory scope included both research and manufacturing of their single molecule diagnostic equipment and devices. 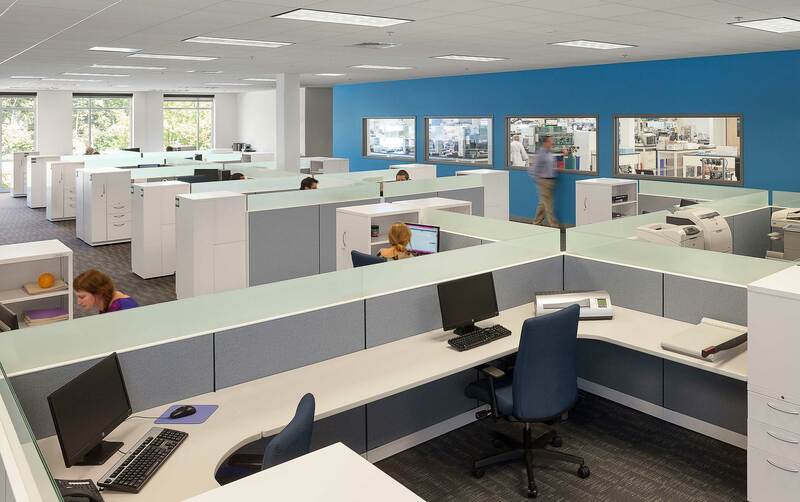 The work spaces were designed to allow maximum amount of light and maintain visual and collaborative connection between research and office functions.